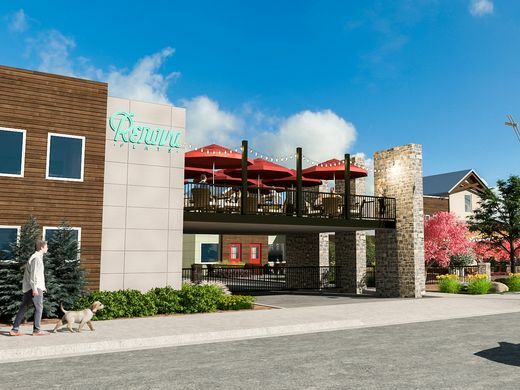 The redevelopment of downtown Reno's Fourth Street corridor continues as the former Crest Inn kicks off its transformation into a new urban residence known as Renova Flats by Jacobs Entertainment. 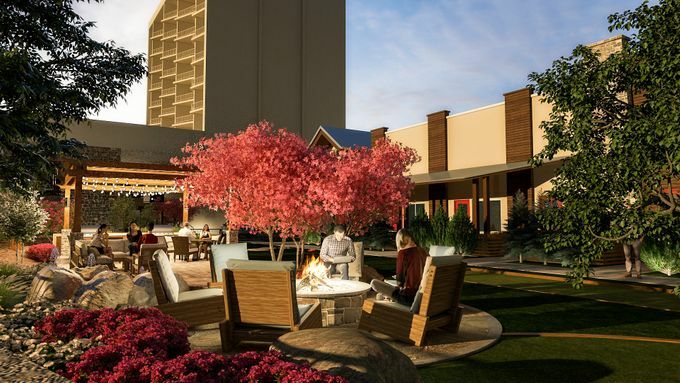 Developer and gaming operator Jacobs Entertainment revealed its plans for the property, which also used to include a nearby gas station and mini-mart on West Fourth and Ralston Streets. 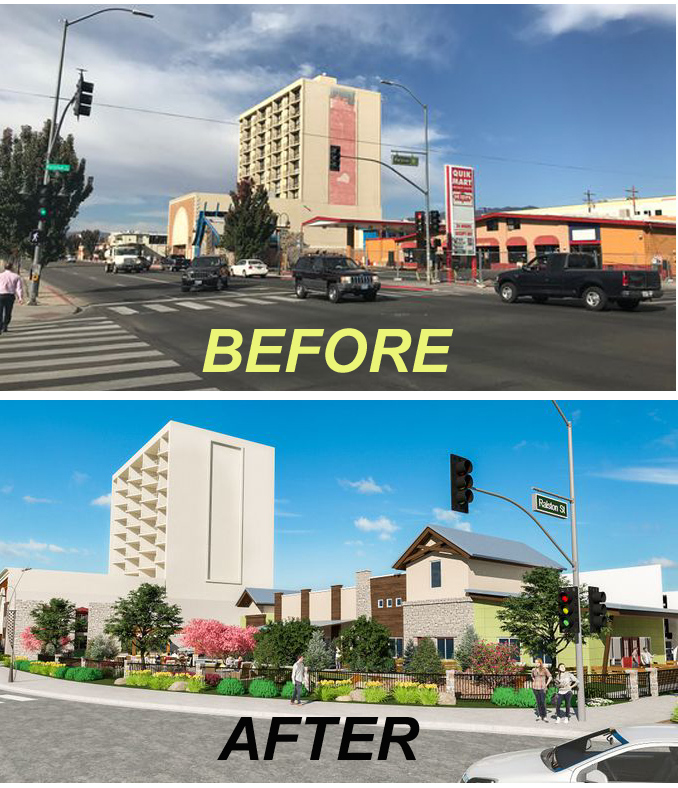 Jacobs Entertainment, Inc owns the Sands Regency, Gold Dust West and the majority of real estate located on West 4th St. between West St. and Keystone Ave.
Renova will be the first market-rate housing project in Reno for Jacobs Entertainment. The Renova project will cost $11 million and occur in several phases. The first phase will involve 46 renovated units. In addition to cosmetic updates for each unit, the renovations also will include a community kitchen, lounge and landscaping improvements. Jacobs Entertainment plans to have Renova Flats ready for renters by early spring 2019. The name Renova is a combination of the words Reno and "nova," which is Latin for new, said Jeff Jacobs, CEO of Jacobs Entertainment. "It is our hope to bring something completely new and vibrant, yet still have it stay true to Reno's spirit and contribute to Reno's growth," Jacobs said. While the renovation helps address the blight problems that have continued to dog downtown Reno even through its economic recovery, it also brings up the ongoing debate regarding gentrification. Part of the debate involves pricing out residents who used to live in the neighborhood but won't be able to afford the new rents. Jacobs Entertainment says it is keenly aware of those issues. Last year, the company also donated $1.5 million in property to the Reno Housing Authority for use with affordable housing. The Crest Inn renovation should also help fix an area that has been neglected for some time. Prior to Jacob's purchase, the Crest Inn was No. 1 in downtown for service calls to the Reno Police Department. The company ended up hiring two security guards for the property after taking over, which proved to be a big relief to residents, according to Jonathan Boulware, Jacobs Entertainment vice president of Nevada operations. "Renova Flats is another component of our mission to provide higher quality living conditions to the area," Boulware said. "We are eliminating properties in severely blighted conditions." "We don't want to fall into the trap where we get people excited and something doesn't happen for years," Boulware said. "We will sit on vacant land until we have a development that we know we can complete."